Many of us love all things Easter, and making our own eggs has become a tradition across the world. So what about if you want to keep things natural? 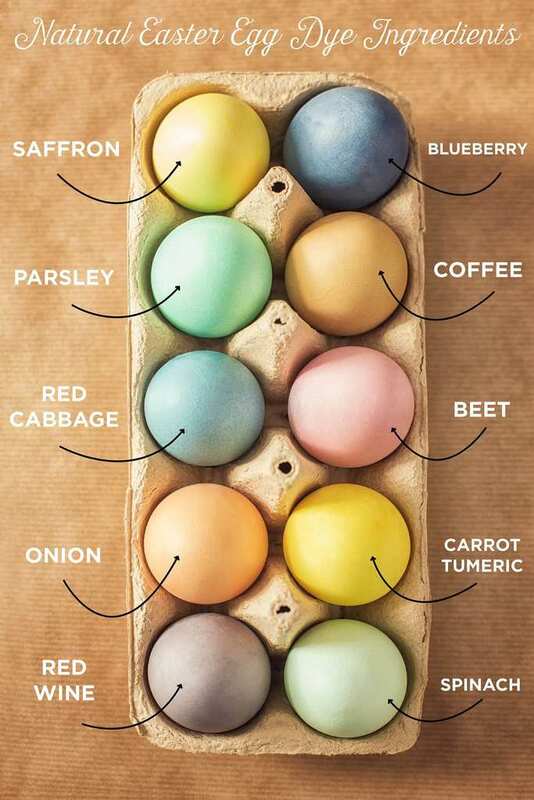 Thankfully, learning how to make natural Easter egg dyes from food you already have in the cupboards could be easier than you ever imagined. There are many ways we can color our eggs, and many of us already have the ingredients at home. Chopped purple cabbage, yellow onion skins, shredded beets, and ground turmeric are all great places to start. As well as making some of the brightest colors for your Easter eggs, these ingredients are all-natural, too. To start, you need to take four cups of water and your chosen ingredient. It’s best to use one cup of chopped cabbage, or one cup of yellow onion skins, or one shredded beet, or two tablespoons of turmeric to get the best results. Add your ingredient to the water and place both in a saucepan. Then, merely cover the pan and boil until the water has reduced by half, typically around 20 or 25 minutes. Once the mixture has boiled for long enough, remove it from the heat and strain the liquid into a large measuring cup. Now, it’s time to let it cool completely. From there, simple add in one tablespoon of vinegar for every cup of dye mixture that you have after it’s been strained. Just be sure that the water is completely cool before adding this ingredient. Now, all you need to do is add in some hard boiled eggs! Make sure to screw a lid onto the jar or cover the cup with plastic wrap depending on how you choose to store the eggs and place them into the refrigerator until the eggs have turned the perfect color. This could be anywhere from six hours to overnight depending on how bright you like your eggs in the morning. Pat dry with a paper towel and voila! Perfectly dyed Easter eggs. Creating Easter eggs doesn’t always have to mean harsh chemicals. 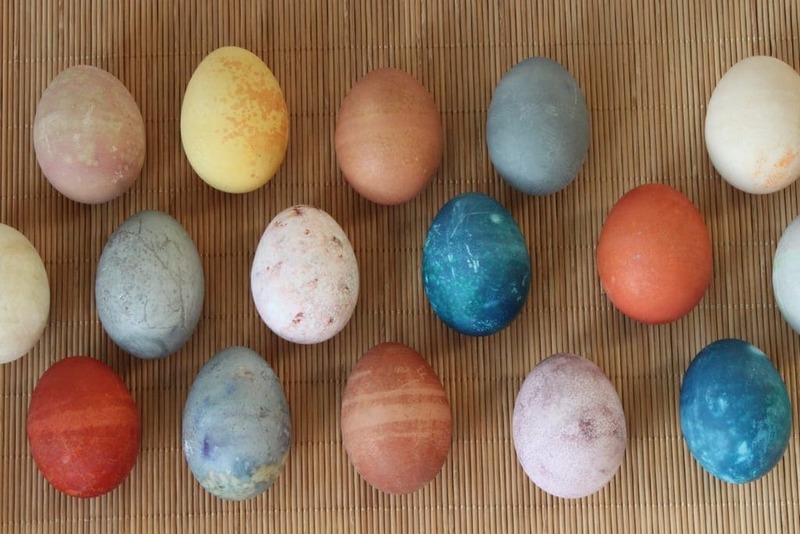 In fact, these natural Easter egg dyes are not only from nature, but they can be made using food you already have in the cupboards. Perfect.